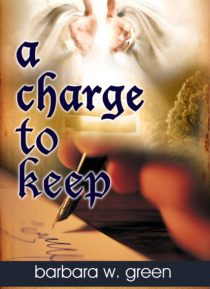 a charge to keep is a collection of short stories--fiction and nonfiction--with messages on facing personal fears, celebrating relationships, accepting the victories and hardships of life, and reflecting on the simple moments when we all have answered a charge God has asked us to keep. Laugh out loud. Sniffle. Celebrate. Reflect while enjoying this new collection by barbara w. green.